As midsize churches adapt systems based on megachurch models, the ministry gap between them and the average size church is expanding. 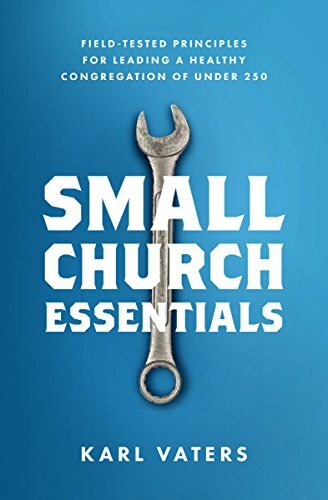 Sometimes it seems like the divide between big and small churches is so vast it’s almost insurmountable. And it’s increasing, not diminishing. Why is that happening? And why has the divide has become especially large in the last few decades? While pastoring the people we have, we need to create in-house systems and outward ministry suitable for a church of double our current size. A church of 50 people needs to be pastored like a church of 50 people. You can’t act like a church of 500. Or even 100. The systems, methods and relationship dynamics simply won’t fit. Here’s a sincere question for my fellow pastors and other church leaders. What if the members of our churches started sharing their faith, but it wasn’t in a way that brought more people to our specific church? Would we celebrate and encourage that? For most pastors, a desk in an office is one of the least creative spaces imaginable. Pastors fall into one of three groups when it comes to money. When it comes to the issue of Money And The Small Church, (or money and big churches, money and family finances, money and business, etc.) there is one principle that stands high above all the others. Many people have a love/hate relationship with money. I don’t like thinking about it, talking about it, teaching on it or worrying about it. Every program, building and denomination is temporary. They should stay in place only as long as they are being effective. When a building is being repaired or erected, scaffolding is the temporary structure that is built around or inside it to give workers access to the construction site. But when the building is completed, the scaffolding is removed.